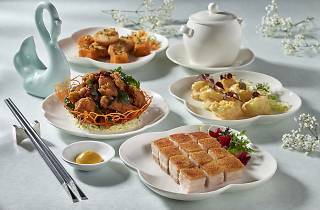 Jade is probably the prettiest place in the city for dim sum and other Cantonese delicacies. 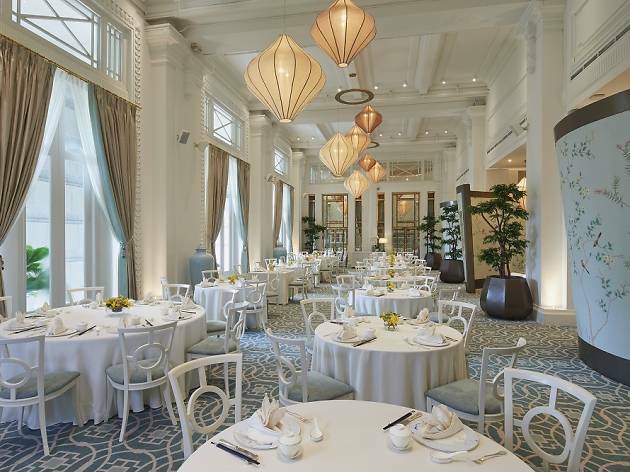 Take in picturesque views from Jade’s floor-to-ceiling windows, or be entranced by its recently refurbished interiors featuring pastel jade hues and specially commissioned wallpaper printed with birds that are native to Singapore. 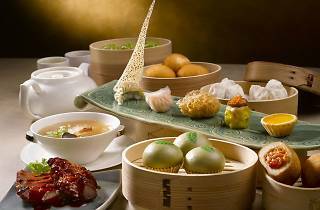 An à la carte dim sum menu is available during weekday lunch, and on weekends, head down for a brunch buffet that has a selection of over 50 dishes at only $39 for adults and $19 for the little ones. 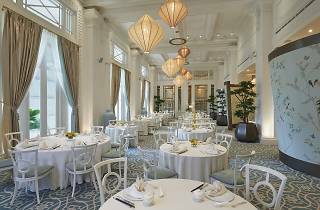 Expect staples such as siew mai with abalone and shrimp dumplings, as well as unique creations like deep fried taro paste wrapped in truffle and mushroom. 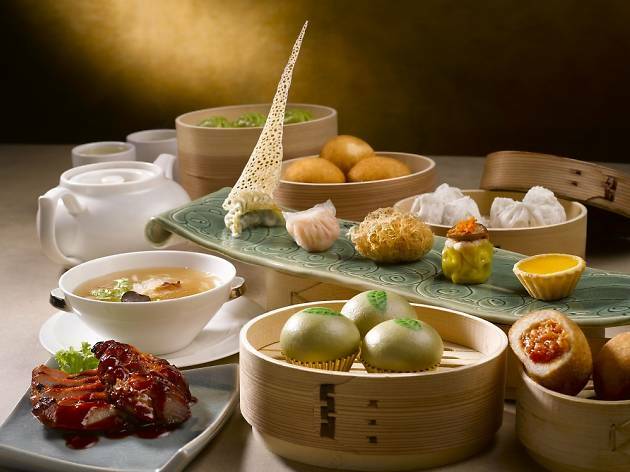 Don’t miss chef Leong Chee Yeng’s signature osmanthus char siew bao, either – the fluffy steamed buns are meaty and bear a hint of floral fragrance that perfumes each bite. 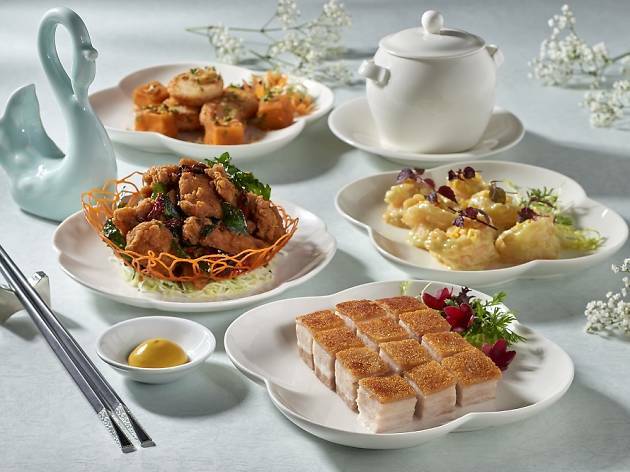 Modern Canto classics are also served in individual portions, including its eight signature dishes – the crispy roasted pork belly and sauteed diced beef tenderloin are exquisitely prepared using traditional and often labour-intensive cooking methods.